Updated with McCaskill's letter - U.S. Sen. Claire McCaskill says St. Louis County should approve the sale of adjacent park land to keep the cemetery operating for several more decades. 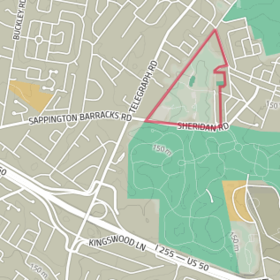 In a letter to the County Council, McCaskill urges the members to sell 38 acres of Sylvan Springs Park to the Department of Veterans Affairs. The county’s Historic Buildings Commission opposes the parkland sale. Esley Hamilton, the recently retired Preservation Historian for the county’s Parks and Recreation Department says the Department of Veterans Affairs should find a site for a new cemetery. Hamilton says there are sites in Jefferson County and in Illinois where a new cemetery could be located that would be able to serve the St. Louis region for the next century or more. 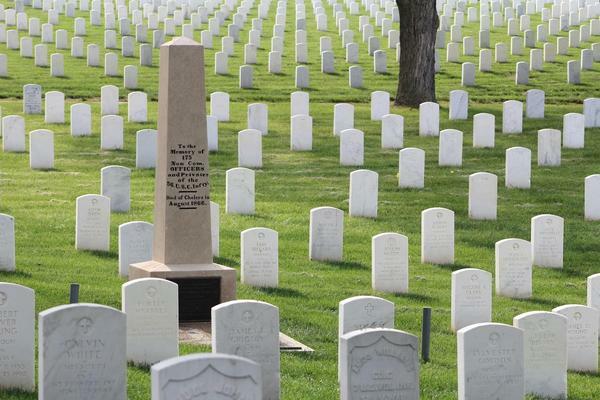 Original article July 2, 2015 - St. Louis County government is planning public meetings later this summer about expanding Jefferson Barracks National Cemetery, which has been a longtime priority for veterans groups. For years, the county has been negotiating about selling part of Sylvan Springs Park with the Veterans Administration so it would have more cemetery space. St. Louis County Executive Steve Stenger told reporters that public meetings will take place in mid-July, and will include staffers from the county parks department and the VA. The discussion is a delicate one. On the one hand, some fear the cemetery will run out of space within a decade – and may shut the door for deceased veterans from the region to be buried in St. Louis County. But efforts to reduce parkland has been controversial, most recently in 2011 when then-St. Louis County Executive Charlie Dooley unsuccessfully attempted to shut down half of the county’s parks. Stenger said selling roughly half of Sylvan Springs Park is “what the Veterans Administration is pursuing, I think, with the most enthusiasm.” He added “it would be the portion of the park that does not include some of the more recent improvements.” A skatepark was completed in Sylvan Springs in 2007. Stenger and members of the St. Louis County Council heard from several veterans in June who wanted to see swifter action to expand Jefferson Barracks cemetery. That includes Maryland Heights resident Mike LeBlanc, who spoke to the county council about the issue a couple of years ago. World War II veteran Harrison Ochs said it’s unacceptable that Jefferson Barracks may run out of space.